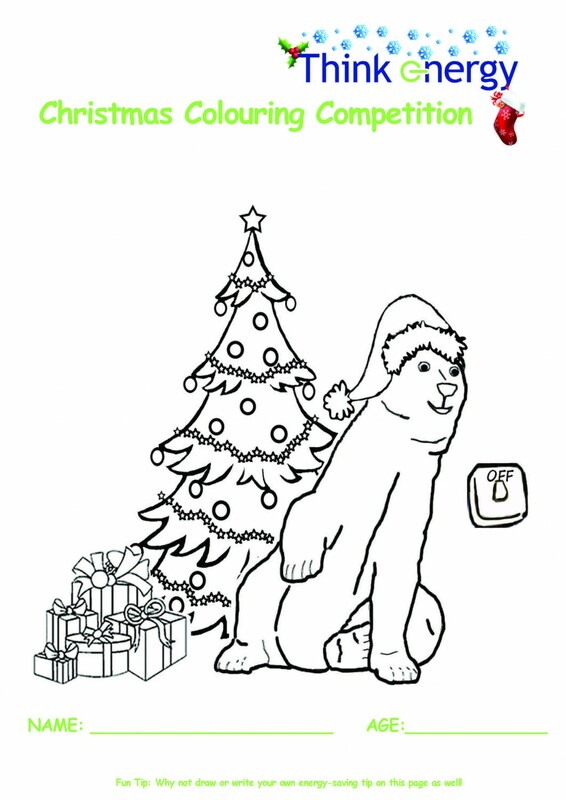 SDCC ‘Think Energy’ Christmas Colouring Competition - Winners Announced! Congratulations to the winners who each received a €50 One4all voucher and well done to everyone for a great effort. 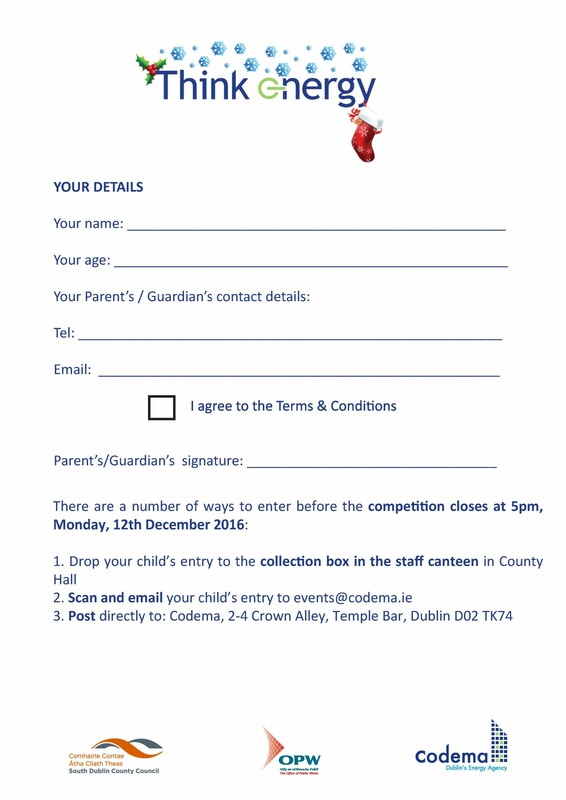 The Think Energy campaign was launched earlier this year by South Dublin County Council, in association with Dublin’s energy agency Codema and the OPW. The campaign aims to inform and inspire staff in South Dublin County Council to become more energy efficient by understanding more about the building they work in, and learning how their own behaviour can play a significant role in reducing the overall energy use of the building. You may have already taken part in some Think Energy activities this year, such as the staff energy awareness survey or lunchtime talk. We have some great activities lined up for 2017 as well so make sure to keep an eye out for those in the New Year!